the world was smooth, round, curvy. no place for the mind. the heart… had no shape. the world was happy, busy, loud. no time for the heart. to seek god. or to ask anyone. or to be sought. who knows. 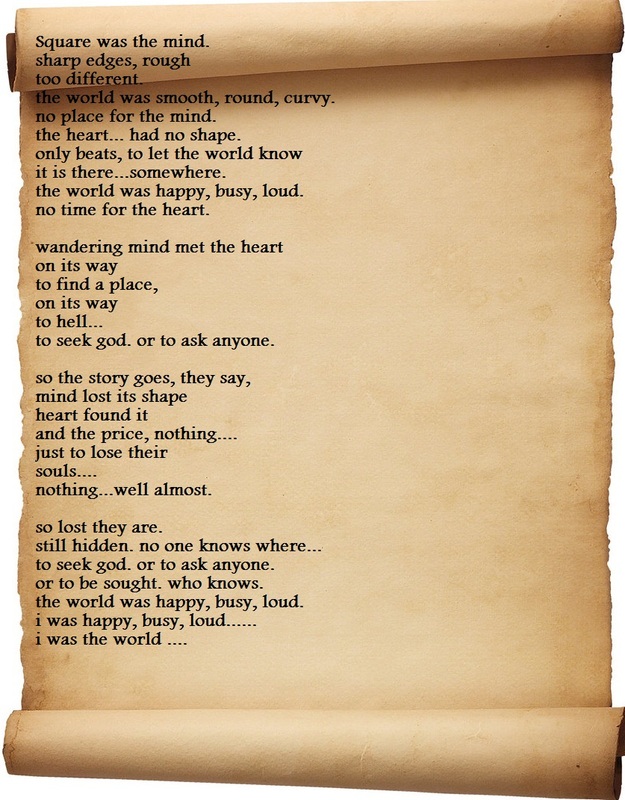 i was the world …. ← my sketch in a magazine !!!! !